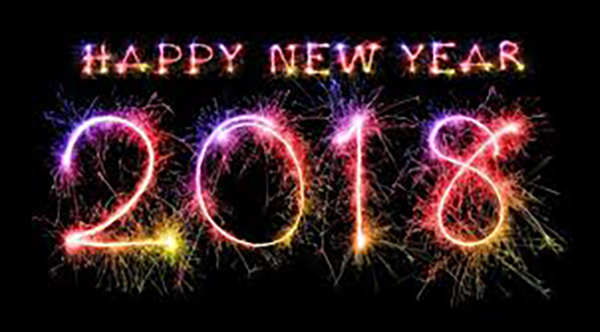 Goodbye 2017… Hello 2018…and goodbye! I thought it would be remiss of me to not do this annual post. This blog has been a driving force for my hobby exploits over the last 8 years (almost to the day) and so it felt only fitting that I do one final review. 2017 started with a lot of optimism (as most years do). I was keen to bring back Tuesday gaming with Bull, which had been the source of so many good times back in Tunbridge Wells, before I had a wife and family and a mortgage. We managed to keep it going for quite some time (which I'm very pleased about) before it fell away. The first half of the year was undoubtedly dedicated to Zombicide: Black Plague. It was an easy way to get the Tuesday gaming up and running and proved quite addictive. I even went out of my way and expanded my collection of survivors (many of which have now been shown the Ebay exit). In amongst all this Zombicide goodness I'd managed to get a couple of Blood Bowl tutorial games in with Chris, who was very enthusiastic and managed to beat me on both occasions. The Zombicide craziness hit it's peak in May with the Green Horde Kickstarter. 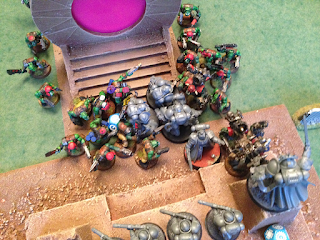 Then came the new 40k and Zombicide was all but forgotten. I was really enjoying the new 40k rules. My Primaris army was slowly building (and being painted) and evolution for it and Bull's Orks meant there was a fresh challenge each week. 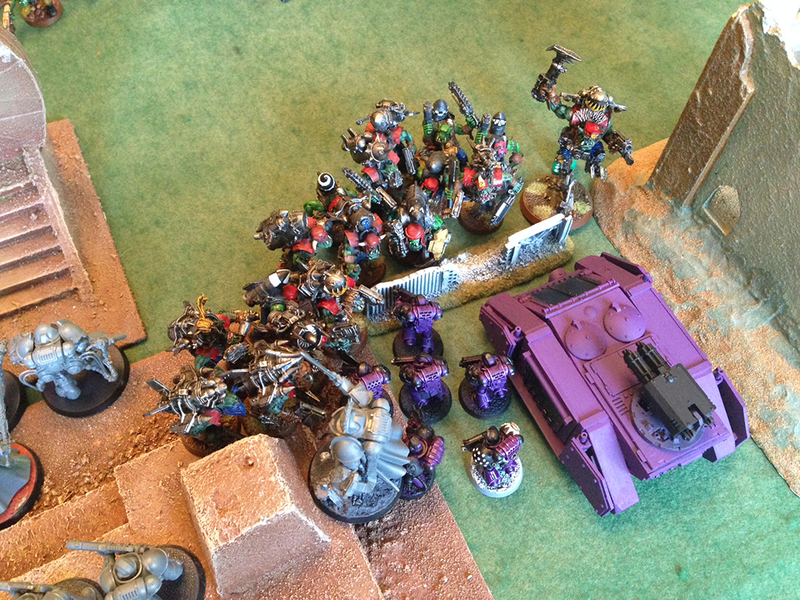 Then just as quickly as it had started, 40k disappeared from the gaming landscape – my last game coming just before my holidays at the end of August – Bull and I were just unable to get another date in the diary. I spent much of the following two months doing what I do when there's no gaming – write gaming rules. I genuinely thought things were coming to a satisfactory conclusion. However, as I was introduced to more new games – each one having a facet that I really liked – I found myself going around in circles and no closer to a final rules draft. It was then that Mr Awdry introduced me to Imperial Assault. 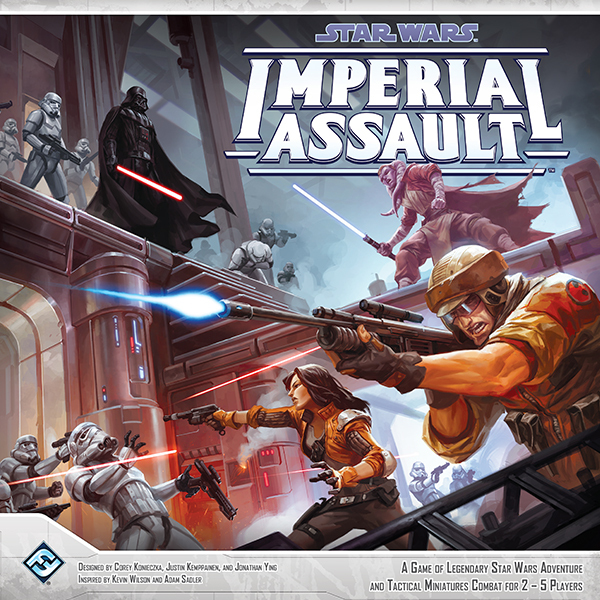 I have to admit that for a good six weeks I was thoroughly addicted to Imperial Assault. I thought I had found the epitome of skirmish gaming. I even managed to get Ryan back over playing games and he always provides a stern challenge – very competitive and always ready to push the rules which keeps you on your toes and opens your mind to differing interpretations. But strangely the Imperial Assault bubble burst just as I purchased the Hoth box set and finally had my hands on some Snowtroopers. Painting Stormtroopers didn't help and the skirmish game had become rather power gamer – the campaign so complex it just wasn't appealing. December saw me return to Games Workshop, not to the newly released Necromunda, but their recently released Shadespire. This took a similar format to Imperial Assault and simplified it, distilling it down to an arena environment and objective cards that could be recycled. There were hints of what I'd been trying to achieve with both my Dark Crucible and Hood projects. I managed to get a solid evening's gaming in with Ryan to see how it played. Very fast and very brutal is the short answer. But yet again, the bubble seems to have burst very quickly – the game started to feel a bit shallow – and I've been left in something of a hobby wilderness. I think perhaps nothing is really catching my imagination right now. So what's the plan for 2018? The plan is to scale everything back. I don't have the time or enthusiasm to build/paint anything these days – far too many other life priorities – so the idea of starting a new army or indeed finishing anything started is not terribly realistic – it would have happened by now if it was was going to happen at all. I will be keeping my Iron Warriors in some form or another and my Dark Templar, but the rest of my 40k models can go. Similarly, the board games are getting out of hand. I will be offloading the original modern day Zombicide stuff as it holds no interest anymore. The Black Plague stuff is worth keeping, though some of the more sort after survivors can go back on eBay (I've already sold quite a few). Green Horde will go straight onto eBay when it arrives. 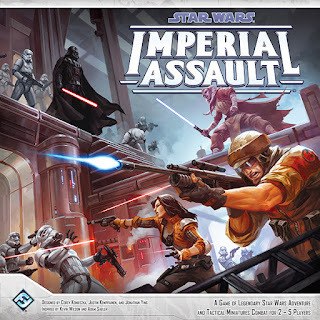 I'll be keeping my Imperial Assault stuff – it's Star Wars after all! – and I'll hold on to the Shadespire models as it's easy to dip in and out of that game. Aside from that, pretty much everything else can go. I seem to be waiting for the next Malifaux – that game changed my perception of wargaming and was a true revelation to me when it first appeared. As I said earlier, I'm struggling to be inspired or enthusiastic about any of the games I'm seeing right now (beyond the initial couple of plays). I like the idea of the upcoming Kickstarter "Hate" and the models that have been previewed on Facebook, but I will not back any more Kickstarters so that rules out that game as a potential new shiny. The wait continues. With that in mind, the blog no longer has a role to play in my hobby time. It had become a monster that needed feeding and so, given my hobby has been very quiet in recent times, the blog has become redundant. I will keep it up as people seem to find some of the posts of value. I may even reinstate a more helpful navigation so that visitors can go straight to the topics of interest. But there will be no more regular updates. I may add a post once in a while if something hobby significant happens, but I no longer wish to feel obliged to write blog posts. Thanks for following over the last few years. There's been some good stuff produced, some great games played and a fair amount of ranting. It's been a fun ride, but time to take the foot off the gas.